Posted April 27, 2016 by Tom Gilmore, The Tuam Herald in Features. Pupils at Claregalway’s Coláiste Bhaile Chláir are among the first in Ireland to be trained as anti-bullying ambassadors as part of the Princess Diana Trust to help eliminate bullying in schools here and in the UK. 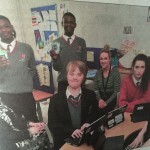 As the Claregalway College is to the forefront in the use of new technology in Ireland, the students, in association with their teachers, have set up an anti-bullying email hotline at the school in a unique joint approach to nip bullying in the bud before it becomes an issue for vulnerable students. Teacher Eoin Ó Ceallaigh says a group of students were sent to Dublin this year to train in the anti-bullying methods under the auspices of the Princess Diana Trust. “This year we sent fifteen students and another fifteen will be trained next year to work along with the teachers in anti-bullying methods. 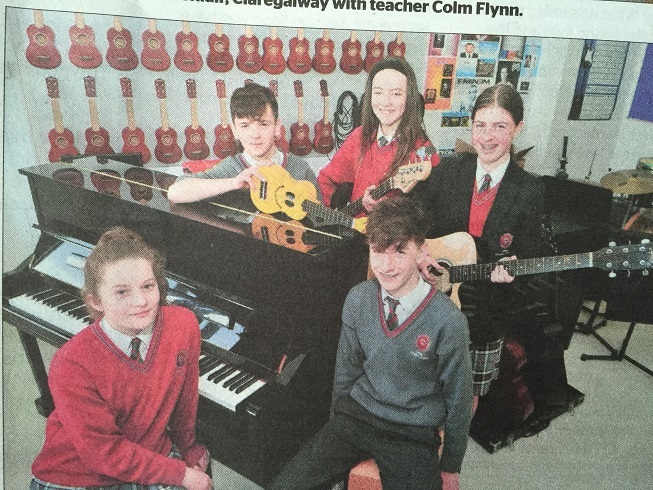 Meanwhile in a very different field from soccer where she captained the schools to win the FAI All-Ireland Girls Minor national final, beating Moville, Donegal last week, student Sinéad Donovan is also an award-winning songwriter. 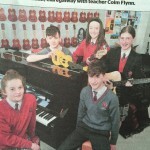 She translated a song titled Slán Leat which was performed by Sinéad and five of her school colleagues in the All-Ireland final of An tOireachtas where they finished runners-up. 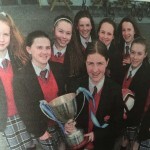 The college was the only non-Gaelscoil to do so well in this national competition. 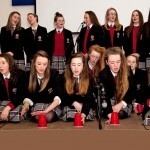 “We have now been invited to perform at the Irish Language Picnic in June in Dublin. It is called Réamhlóid and it is exciting to be on the show with such big name acts as Mundy and the Hot House Flowers,” she says. 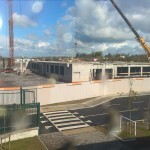 The school, which has grown rapidly since opening three years ago, now has over 600 students and there is a great atmosphere among the teaching staff and students which mirrors al the enthusiasm of them being part of a new voyage in education together in a new building that is being expanded all the time. 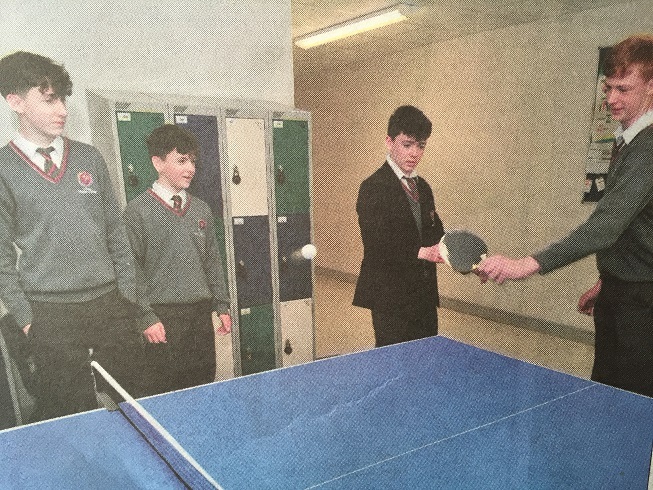 The school has a strong emphasis on Gaeilge as many of its students come from surrounding areas where the Irish language has remained strong and is getting stronger all the time. Coláioste Bhaile Chláir students are encouraged to take n the challenge of competing with schools where all the teaching is as gaeilge even if their system is bi-lingual. There is also a huge emphasis on teaching European languages and while academic, science and maths-based subjects are strong in the school, so also are practical subjects including woodwork. The excellent quality of some of the woodwork projects on display by second year students is of a standard so high that many Leaving Certificate students would be proud of them. Art is also a subject that is very popular with the students and the creativity does not stop with their paintings in oil and watercolours but they also have produced some fine pieces of pottery as well as many very detailed lino prints. Teacher Karina French says the art works on display the day that the Tuam Herald called were the creations of first and second year students plus one large oil painting of Galway Cathedral was the work of Harry Bradshaw last year. He is now in third year. Principal Alan Mongey says the past three years have been busy, exciting and very fulfilling for all involved as the school’s rapid expansion continues unabated. 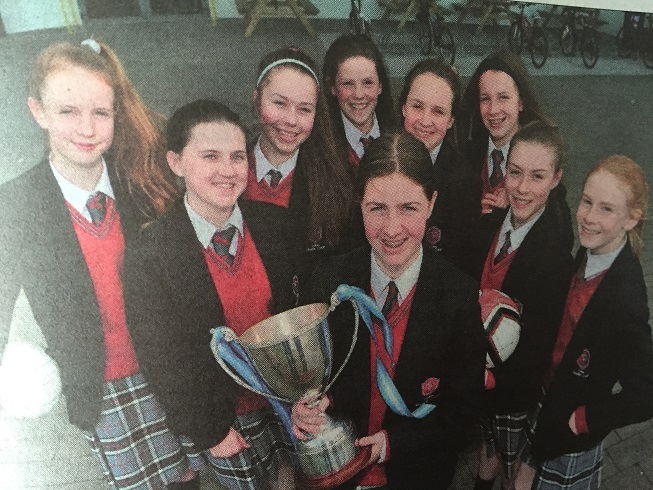 Soccer captain Sinéad Donovan pictured with some of the players from Coláiste Bhaile Chláir. 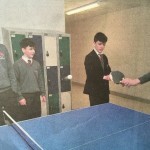 James Cummins plays table tennis at school. 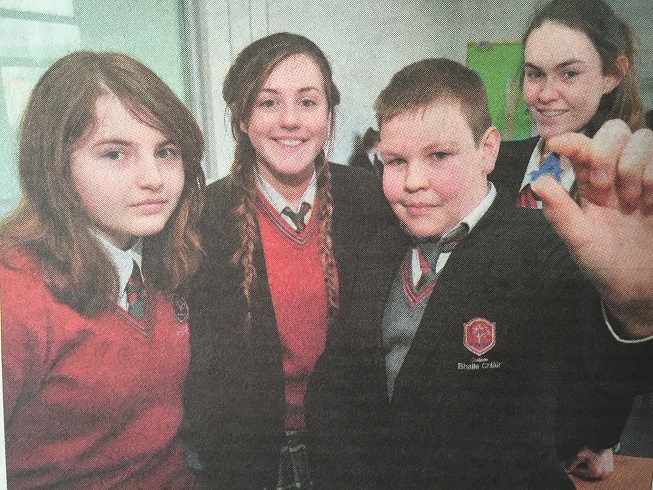 Students Gillian Noone, Alex Rafferty, Katelyn Carney, Sinead Donovan and Neil Tarney from Coláiste Bhaile Chláir. 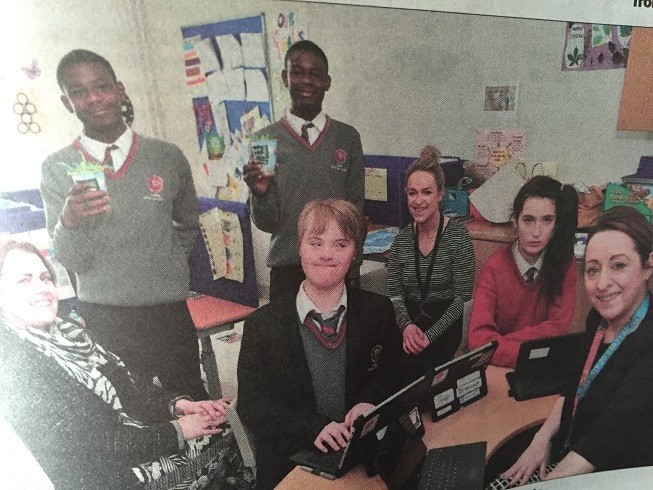 Teachers Sharon Fay, Dawn Finnerty and Lorraine Ryan with some of their students. 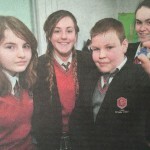 Classroom life with students Isabella Corcoran, Rebecca Norman, Liam Veenstra and Aoibhinn Fox.